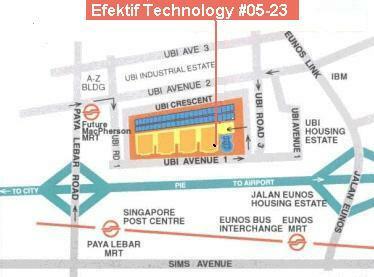 Efektif Technology, established in Singapore since 1995, provides Information and Communication Technology solution for our partners and customers in Asia-Pacific. Our founder, Woo Li Kim has been working in Asia-Pacific for more than thirty years, started with NCR Corporation, AT&T and now Efektif Technology. We have extensive knowledge and understanding of the Information and Communication Technology needs of Asia-Pacific, speak the same languages with our partners and customers, and relentlessly strived to delight them. We have established a very strong bond with our partners and customers in Singapore, Malaysia, Brunei, Indonesia, Hong Kong and China, and increasing our presence in Australia, Taiwan, Vietnam, Kuwait, Philippines, Thailand, Korea, Japan, New Zealand and India. We represent the premier software products – Sciforma's Sciforma/Project Scheduler 8, Mindjet 11/Connect, SmartDraw, EViews 8, PersonalBrain, SnagIt, Camtasia Studio, Nero, QFD Designer, Encore Suite, Balanced Scorecard Designer, eReflect, XMind, Focus Educational Software, Project Kickstart 5, DNA from the Beginning, etc… in this region, and has grown our business more than 30% yearly. Our products cover all industrial sectors, and particularly strong in ICT, Oil & Gas, Education, Transportation, Telecommunication, Financial and Construction sectors. Our mission is to relentlessly seek and develop premier productivity, web-based and educational software for Asia-Pacific, provide value-added services in ICT sales, consultancy, training and Asian languages localization to delight our partners and customers.